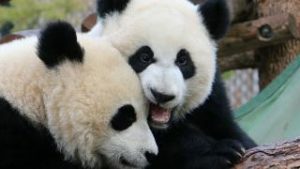 The cutest event at the zoo is back! 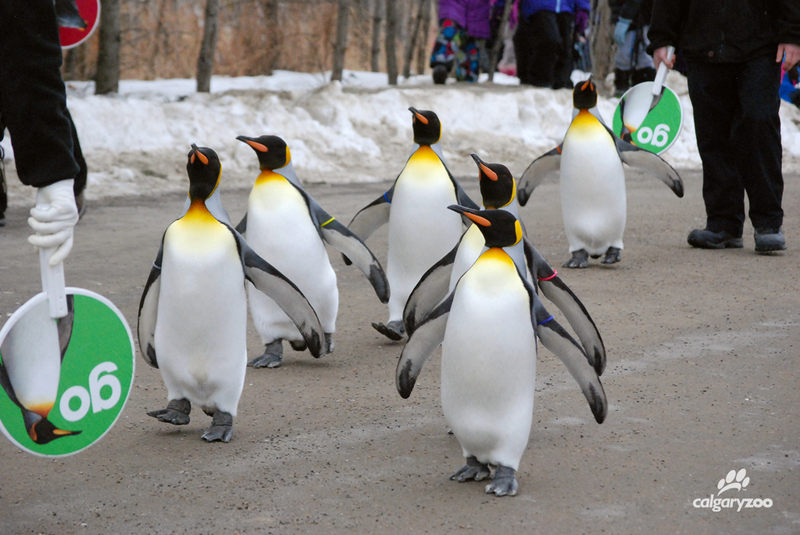 We’re kicking off the new year with a return of our beloved Penguin Walk. Beginning Saturday, January 9 and running until early March, each day at 11 a.m., our king penguins will stroll outside their exhibit along a short route- even penguins need their exercise! Daily walks for our king penguins provide them with a positive enrichment opportunity that’s very beneficial to their welfare. In the wild king penguins are known to travel up to 30 kilometers to reach open water. That’s quite the hike! Adult penguins Caesar, Arthur, Solomon, Tut, Diana, Grace and Hera love the walk, and often eagerly wait by the gate before 11. Not only do they enjoy their little workout, but we’re looking forward to introducing the walk to our newest penguin Nero! Hatched late last year, king chick Nero is growing quickly is becoming for comfortable with venturing outside. We can’t wait to see if he decides to follow his family for a first waddle. Tip: get to the walk a few minutes before it begins to ensure you get the best spot. If you time it right, you’ll be just a wing away from our largest penguin species! Please note that the Penguin Walk is weather dependent and of course, penguin dependent. There may be days when they simply don’t want to take a stroll! It’s common that Nero’s parents stay to keep him company, so the number of penguins walking each day can change. You’ll be kept up to date with information, because Educational and zoo keeping staff will be in attendance to share information about penguins-it’s lots of fun and there’s so much to learn. Every walk is a little different….we hope that you’ll join the kings for this incredible experience! 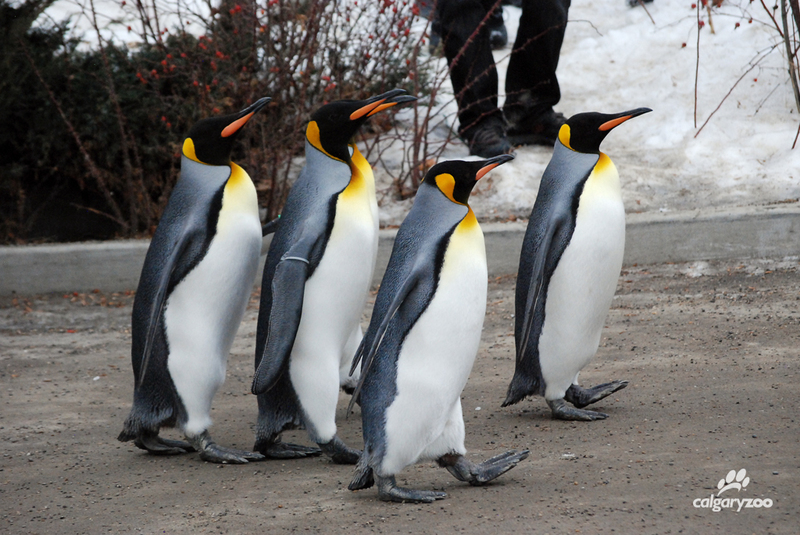 Don’t forget to visit the kings on their stroll- daily at 11 a.m. outside of Penguin Plunge.